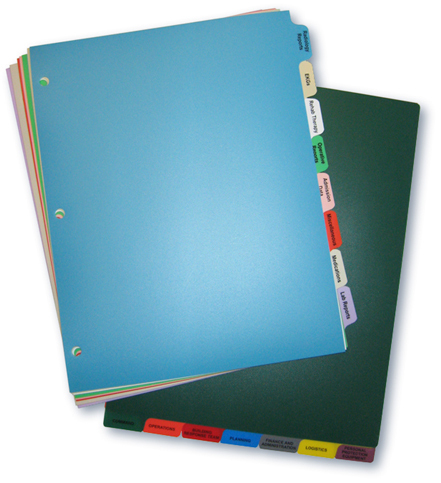 Our Rhino-Tuff standard poly divider sets are the longest-lasting chart dividers available. Charts & Carts exclusive Rhino-Tuff standard poly divider sets are backed by an industry leading 5-year guarantee. Our long-term care, hospital, dialysis, hospice and assisted living poly divider sets provide excellent reference to your patient charts. If you are already using poly dividers, call Charts & Carts and we will provide you with a guaranteed lower price for reproducing them. If you not currently using poly tabs , contact the charting experts at Charts & Carts for personal assistance in designing a divider system for your medical facility.